Rather than focusing on pizza and heroes, Rebecca’s is a true bar, boasting a full liquor license to boot—no soju tryhards here. For now they’ve just got cheap libations like $4 well shots, $6 mixed drinks, and beers as cheap as a bottle of Rolling Rock for $2. 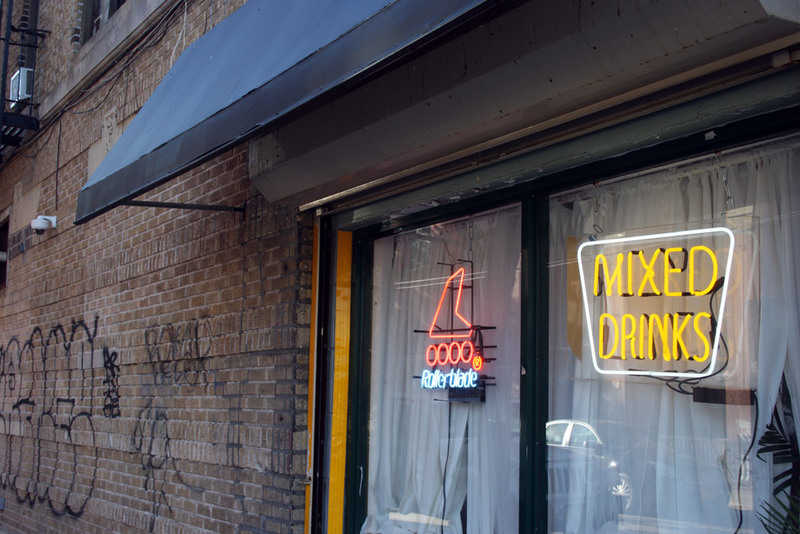 They plan on adding a small vegetarian food menu with appetizer-type fare like nuts and hummus plates, and possibly using the small back space for DJs, art shows, or movie nights. And “if you’re lucky,” Rebecca says, you might get some Norbert’s pizza, as they plan on offering it from time to time. The two folks behind the bar (literally and figuratively) are Adam Sacks and the place’s namesake, Rebecca. With Norbert’s Express a few minutes away and their larger Norbert’s III not much further, they have certainly settled on this part of Bushwick to set up their shops. The original Norbert’s was nearby as well, in the storefront where the dive bar Birdy’s is now. The team now even operates a “seasonal” combination thrift store and coffee shop called Bookkeepers out of a Liberty Tax storefront directly next to Norbert’s Express while the taxperson is away. 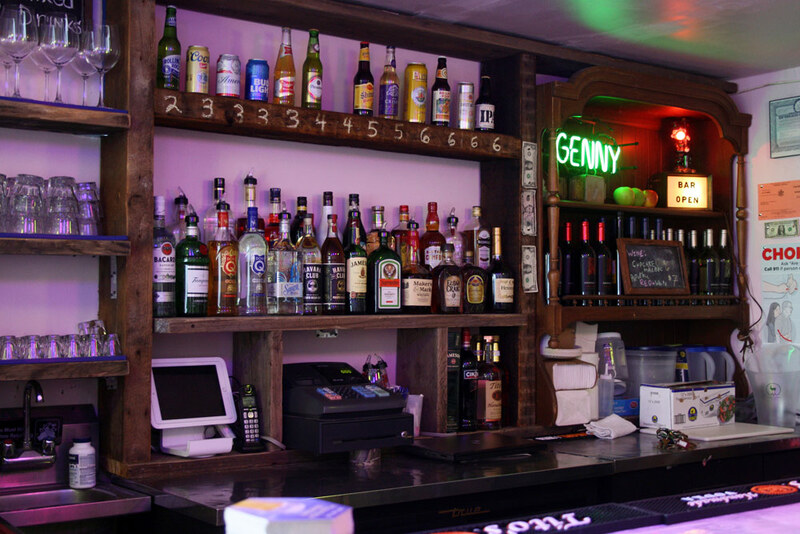 While the bar’s decor is fairly minimalist, it’s livened up by a variety of lights, including several playful neon signs collected throughout Chinatown and through Craigslist. 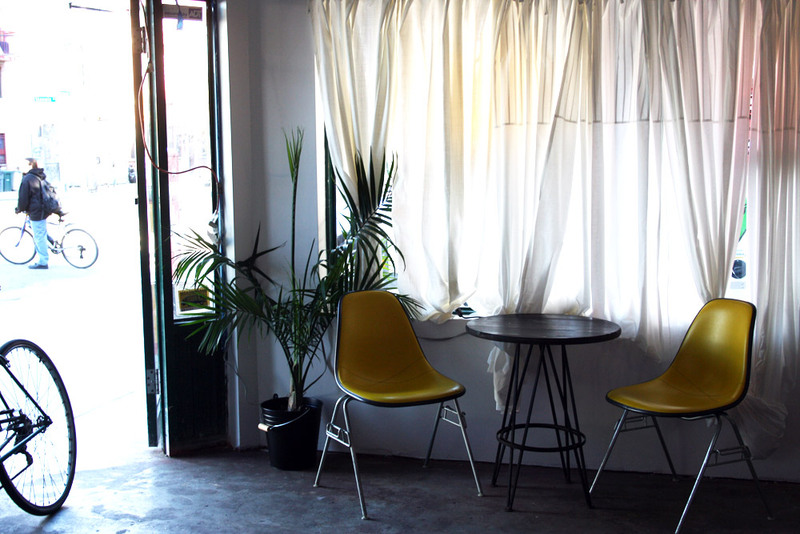 Rebecca, a Texas native who has only lived in the city for a year now and has a background in architecture, designed the space to have a cozy, living room-esque vibe, with a pillow-lined ledge, yellow chairs, green plants, and sheer white curtains on the windows. Most of the elements were obtained through a hodgepodge of auctions, restaurants being gutted, and so on. There may even be more to look at when you stop by, as she tells me the space is still a work in progress. 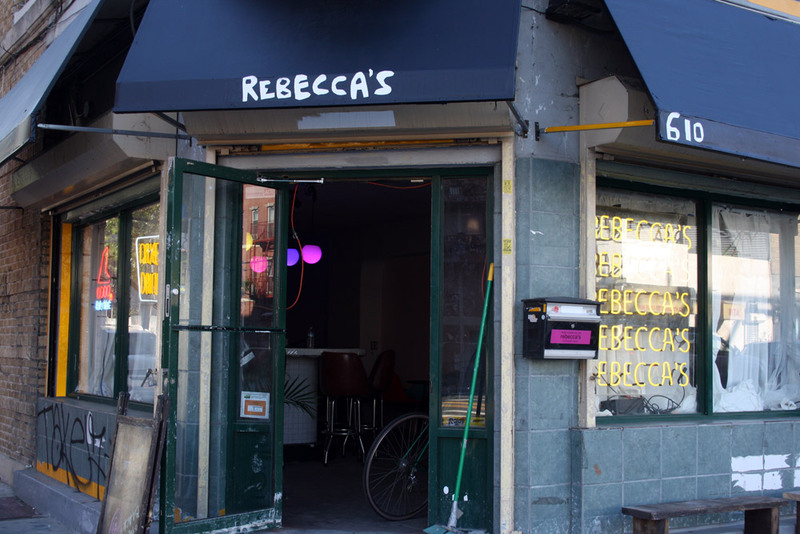 Rebecca’s is located at 610 Bushwick Avenue at Jefferson Street in Bushwick.